The first one is the Microservice Architecture. We did not start it clean and by the book, rather applied it to an already existing project by splitting big services into smaller ones and breaking excessive coupling. The refactoring work is not yet finished. We are starting to build new services which look like “microservices”, however, I would call them”micro-monoliths”. I have a feeling that this is a typical situation for an already existing project, that tries to adapt into this new architecture pattern, which sounds more like: You are almost there, but there is always a work to be done. The second concept is using Docker for building, packaging, and deploying application services. We bet on Docker from the beginning and used it for most of our services which happen to be a good bet. There are still few pure cloud services, that we are using when running our application on public cloud, thing like Databases, Error Analytics, Push Notifications and some others. And one of the latest bet we made was Kubernetes. Kubernetes became the main runtime platform for our application. Adopting Kubernetes, not only allowed us to hide away lots of operational complexity, achieving better availability and scalability, but also enabling us to run our application on any public cloud and on-premise deployment. With great flexibility, Kubernetes, however, brings an additional deployment complexity. Suddenly your services are not just plain Docker containers, but there are a lot of new (and useful) Kubernetes resources that you need to take care for such as: ConfigMsaps, Secrets, Services, Deployments, StatefulSets, PVs, PVCs, Ingress, Jobs, and others. And it’s not always obvious where to keep all these resources and how they are related to Docker images built by CI tool. The ambiguity of CD term annoys me a lot. Different people mean different things when using this term. And it’s not only about the CD abbreviation meaning: Continuous Deployment vs Continuous Delivery, but also what do people mean, when using this abbreviation. Now let’s talk about Release and try to understand the definition Release Content. When we are releasing a change to some runtime environment such as development, staging or production, it’s not always a code change, that is packaged into a new Docker image with some tag. Change can be done to application configurations, secrets, ingress rules, jobs we are running, volumes and other resources. It would be nice to be able to release all these changes in the same way as we release a code change. Actually, a change can be a mixture of both and in practice, it’s not a rare use case. Helm is a flexible release management system and can be extended with plugins and hooks. (Helm) Chart – is a package (tar archive) with Kubernetes YAML templates (for different Kubernetes resources) and default values (also stored in YAML files). 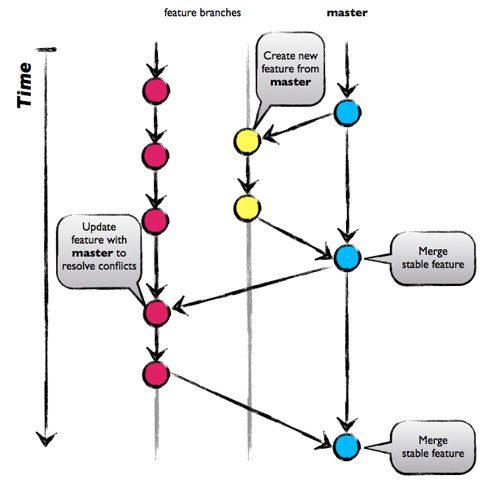 Helm uses chart to install a new or update an existing (Helm) release. (Helm) Release – is a Kubernetes application instance, installed with Helm. It is possible to create multiple releases from the same chart version. (Release) Revision – when updating an existing release, a new revision is created. Helm can rollback a release to the previous revision. Helm stores all revisions in ConfigMap and it’s possible to list previous releases with helm history command. Chart Repository – is a location where packaged charts can be stored and shared. Any web server that can store and serve static files can be used as Chart Repository (Nginx, GitHub, AWS S3 and others). Helm consists of the server, called Tiller and the command line client, called helm. When releasing a new version (or updating an existing) helm client sends *chart* (template files and values) to the Helm server. *Tiller* server generates valid Kubernetes yaml files from templates and values and deploys them to Kubernetes, using Kubernetes API. *Tiller* also saves generated yaml files as a new revision inside ConfigMaps and can use previously saved revision for rollback operation. Building and testing code on git push/tag event and packaging it into some build artifact is a common knowledge and there are multiple tools, services, and tutorials how to do it. And if you choose our Codefresh service, you will get a built-in support for highly effective Docker CI. Codefresh also manages traceability links between Docker images, git commits, CI builds, Docker Registries, Kubernetes Services and Deployments and Helm Releases running on Kubernetes clusters. The only thing you need is a right Docker daemon version (‘> 17.05’). So, select CI service that supports latest Docker daemon versions. This was the first post in series. In the next part, I will cover out POV for Kubernetes Continuous Deployment and Continuous Delivery. 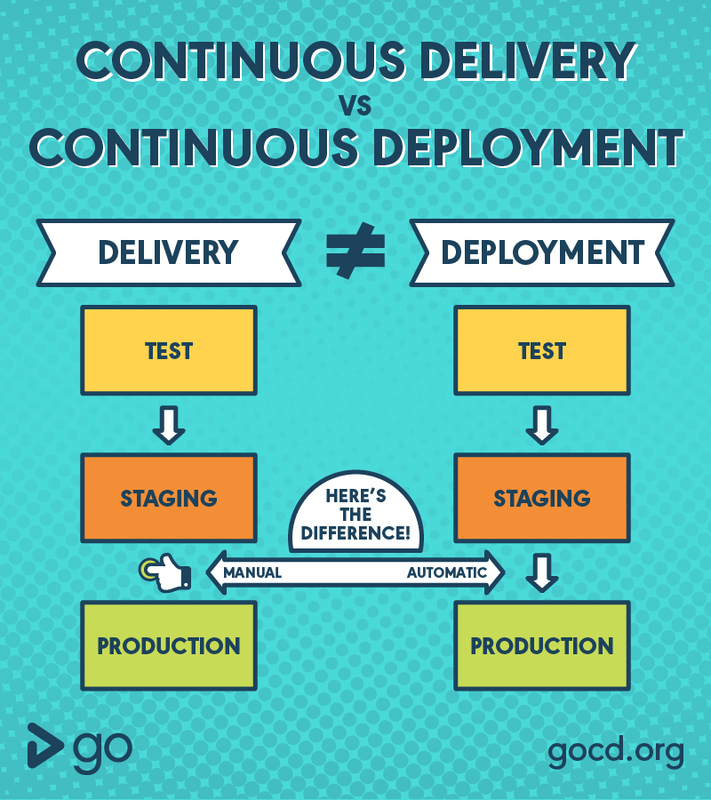 Surely, definition of continuous delivery vs continuous deployment is the other way around. We look at this from the customers perspective. The product is delivered to a customer. Deployment is bit shifting hence one can deploy without delivering, for example behind a feature toggle. Janaka, thank you for your comment. Of cause, these CD are just definition and not axioms and different people can give them a different meaning.